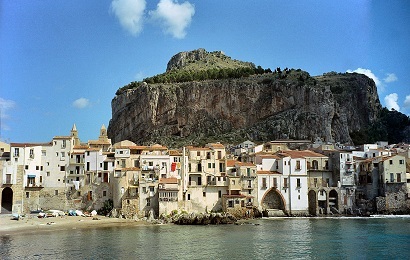 Visiting Palermo will whet you appetite for more of Sicily. Additional Palermo day trips will allow the visitor to sample a bit of everything: the chaotic city and the mellow countryside with wineries and characteristic film set looking villages. 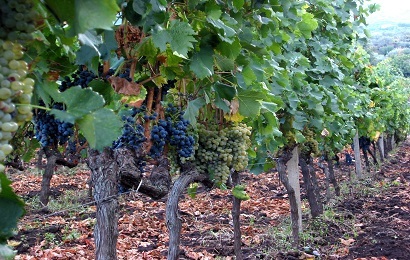 Palermo is conveniently positioned to visit the town hill of Corleone, the namestake of The Goodfather don and a real-life Mafia stronghold and its wine country. Although this town was home to a number of Mafia bosses in the past, you will be surprised to be greeted by its friendly citizens, an excellent example of the typical Sicilian hospitality that can still be found in the rural areas of this island. 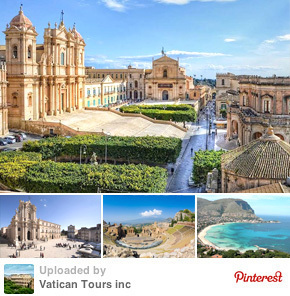 The second Palermo Day trip takes you to picturesque beach town of Cefalu with its Norman Cathedral and the hill town Monreale at the outskirts of Palermo with most beautiful mosaics in Sicily. 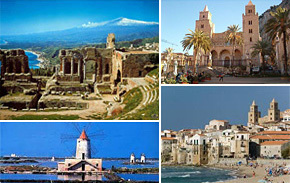 Two most famous destinations outside Palermo on a day trip.